Chinku community has a high population density of about 4000 people. Much of the population consists of Mozambicans who came to Malawi because of the civil war in their country. They are subsistence farmers who live well below the poverty line and struggle daily to provide for their families. Some of the greatest challenges faced in Chinku are the high levels of HIV/AIDS, access to clean water and medical care. Erick, a teacher and pastor in Chinku Community, realised the desperate need to care for the most vulnerable children in Chinku and partnered with Hands at Work to form Chisangalalo Community Based Organisation (CBO). Erick, and other volunteer Care Workers came together to care for the most vulnerable children in Chinku. Today, there are 23 dedicated Care Workers committed to knowing each child by name and understanding their physical, emotional and spiritual needs. The community of Chinku is one of many in Malawi facing challenges due to the severe drought. With an inadequate crop harvest, the reality people are facing is that they simply will not have anything to eat since there was no harvest in 2015 and 2016. Many Care Workers and the most vulnerable families are in this position. A food relief programme commenced in early 2016 to ease the impact of the drought. Once-off provisions of basic essentials like maize, oil and salt were given to every family whose children attend the Care Point, as well as Care Workers and their families. As a surprising but encouraging outcome of this programme, the community embraced the work of Hands at Work and the local Care Workers in a new way, wholeheartedly welcoming Care Workers and visiting teams into their homes. This has given the Care Workers amazing opportunities to share God’s life-giving love with ease throughout the community! 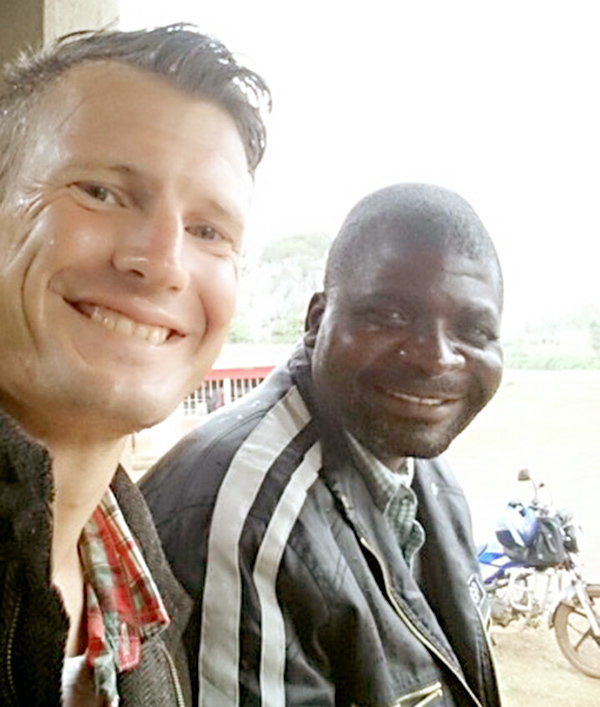 Pastor Erick has returned as the Community Based Organisation (CBO) coordinator in Chinku. Though his church is in disrepair, he willingly uses the building as a Care Point for the children. Pastor Erick has taken full ownership of his role, bringing the Care Workers together to work in unity for the purpose of caring holistically for the most vulnerable. In July, seeing so much vulnerability in the community, the Care Workers assessed and welcomed 50 more children to the Care Point with the aim to nurture them physically, spiritually, and emotionally. Together with the Hands at Work local office, the Chinku CBO has established a third feeding point to reduce the distance many children must walk. Despite the many challenges of Chinku, the Care Workers are committed to supporting and serving the most vulnerable. Please join with us in lifting the community of Chinku up in prayer. Faye* is 13 years old and attends grade 4 at the local government school. Although the school is nearby she is often late or absent. The burden she carries for her family since her father’s death 8 years ago is heavy. The security of knowing she has a safe place to come to each day, where she can play with her friends and receive a meal from the loving arms of her Care Worker Linet, brings her joy and fills her with gratitude. The Hands at Work office in Dedza currently supports four Community Based Organisations, which exist to care for the most vulnerable in their communities. The office provides training, networking, and encouragement to those Community Based Organisations like Chisangalalo. It also gives administrative support, including helping with funding proposals, monitoring and evaluation, bookkeeping and reporting to donors. Be inspired by updates from Chinku Community. Each child is taken by the hand of a local volunteer Care Worker, who finds them a seat and then lovingly hands them their plate of food. The Care Workers in Chinku Community, Malawi, are dedicated to knowing each of their children by name, understanding their needs and serving them. Westside Kings Church from Calgary, Canada, is partnered with Hands at Work in the community of Chinku, Malawi. Recently, the children from Westside asked questions to the children in Chinku via video messages. This video created a way for the children from Westside Kings Church to stay connected with the children in Africa that they care so much for and are committed to supporting. 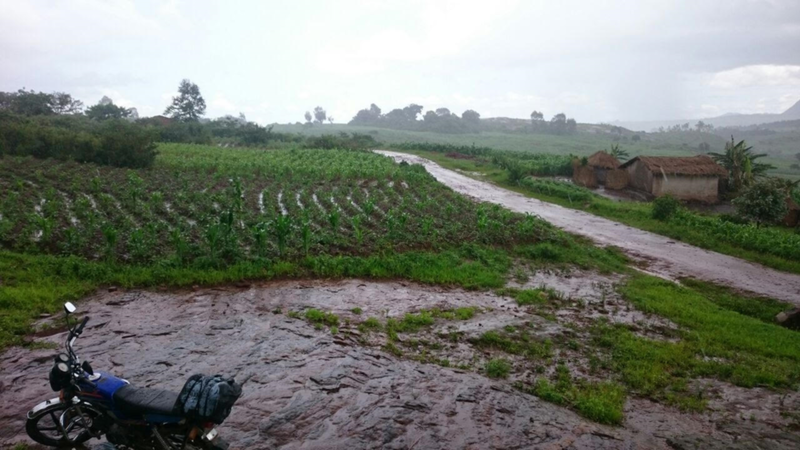 Dan Waspe, International Volunteer (UK) reflects on growing leaders out of the most vulnerable communities across Africa: "We took a trip to one of our communities in Chinku, Malawi. We set off on Simon’s motorbike but after only a few minutes of driving, it started to torrentially downpour. We headed up the dirt track but it became increasingly difficult. We sought shelter for a while and when the rain eased slightly we pushed on. Eventually, it become completely impossible and the wheels were clogging with mud and we started slipping off. We turned around and headed back down the mountain to find another way. We were completely soaked. We got someone to collect his bike and found other bikes that were going a different way to Chinku. After 5 hours of being soaking wet we arrived in Chinku for the night. Never once did Simon even consider not going and giving up. It wasn’t even an option. Simon is humble, teachable and eager to learn. He has grown in his willingness to challenge the communities that he works in, and his culture. He is becoming braver in fighting for our children and our communities. Simon is hungry to learn and is honest in his strengths and weaknesses."